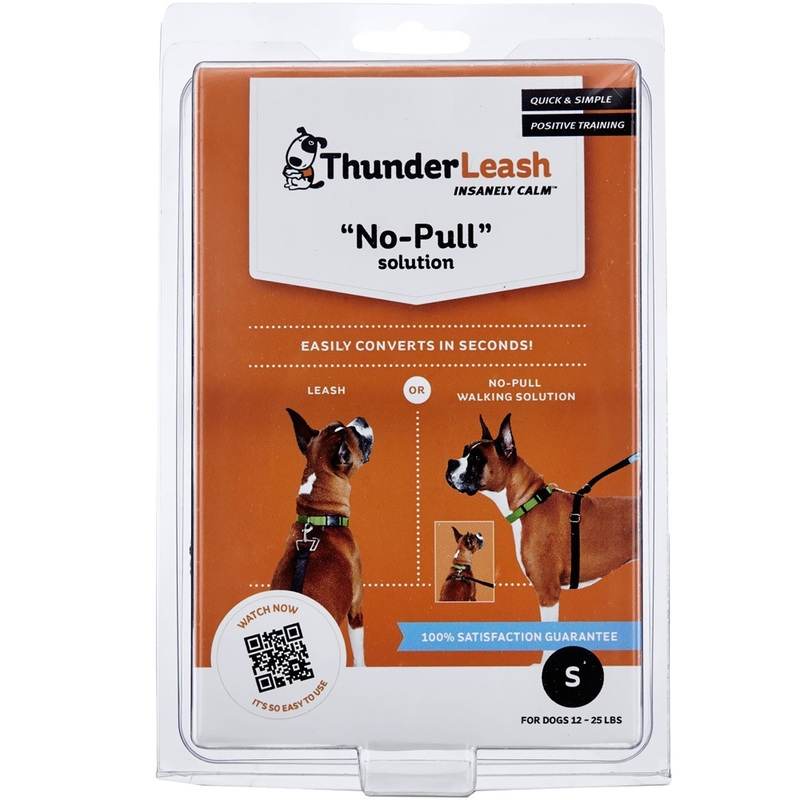 ThunderLeash uses an innovative design to function as either a normal leash or a harness. The leash comes with an attachment and a special collar attachment to help it easily transform into a harness that wraps around the body of your dog. Does your dog ever get over-excited on walks? Harnesses prevent overzealous dogs from choking themselves with their collars and allow owners to pull back on their dogs without hurting them. Sometimes harnesses can send you or your kids flying if your dog is large and in charge during a walk, requiring a leash to prevent your from dragging you across town. 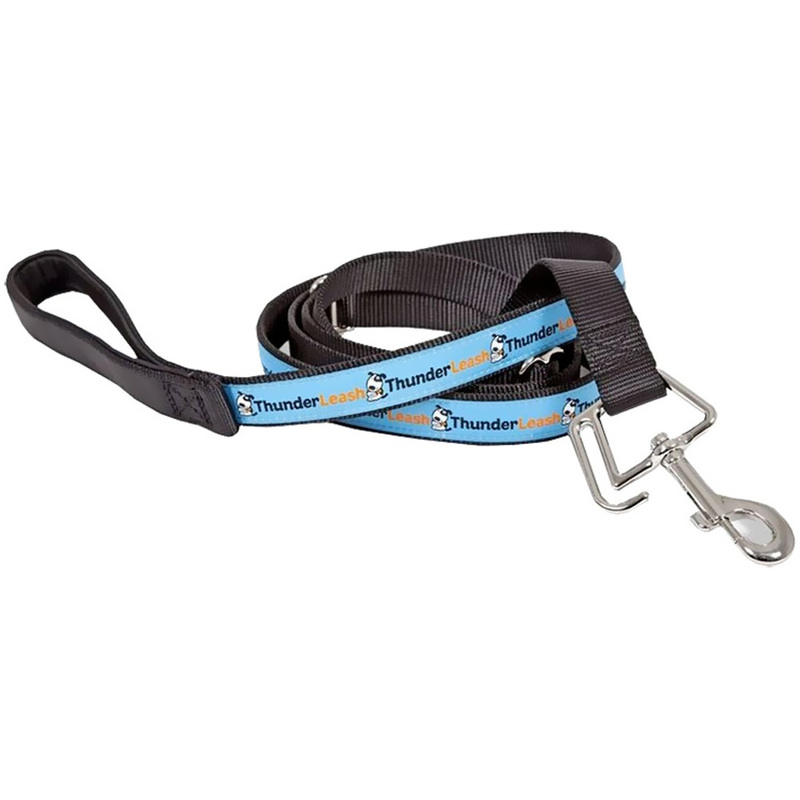 ThunderLeash provides the best of both worlds by creating a standard leash that quickly and easily turns into a harness. Simply wrap the leash around the dog's torso and fasten it using the Patent-Pending harness slot on the safety buckle. Get the Small ThunderLeash for dogs between 12 and 25 pounds. For larger dogs, check out our related items section to find the Large ThunderLeash and other ThunderWorks products. Whether large or small the ThunderLeash will make sure your dog loves walking even more! Use as a standard leash. Anytime pulling is aproblem, simply wrap around your dog's torso. When dog pulls, the safe pressure will reduce or eliminate unwanted tugging. Patent-Pending design makes it quick and easy to wrap around and secure.